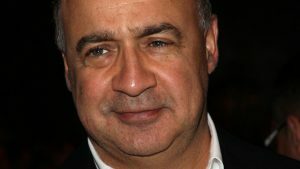 Recently the billionaire investor Leonard Blavatnik purchased an apartment on New York’s Fifth Avenue for $77.5 million. The seller a Mr. Woody Johnson, who is the owner of the New York Jets National Football League team. The apartment where built in 1931, and includes 24 units, in which the smallest unit is 4,000 square feet. The apartment was not publicly listed when purchased by Blavatnik. The original floor plans show that the apartment is 6,700 square feet with thirteen rooms, four bedrooms, and six bathrooms. The sale of this apartment topped the previous co-op record six months ago set by Israel Englander, who purchased a duplex on Park Avenue for $71.3 Million. He was the founder and chief executive officer of hedge-fund firm Millennium Management. Jonathan Miller, president of appraiser Miller Samuel Inc., said that this trend is because millionaires have money to spend and they feel that if they want a property, there is nothing stopping them. Len Blavatnik is founder and chairman of Access Industries, which is a Blavatnik company and includes Warner Music Group and a stake in LyondellBasell Industries NV. According to the Bloomberg Billionaires Index, Blavatnik is said to have a current net worth of $21 billion. The press has tried to get in touch with the spokesman for Access Industries, Christopher Beattie, but he was not willing to comment on the purchase. Len Blavatnik is a world-renowned philanthropist responsible for many awards and grants including the Blavatnik Harvard grant.